It is starting to get that time of year, at least here in the Northeast, where you have to think about the frost. As the temperature drops, and the baseball gets more exciting, you have to make some decisions about your herbs. 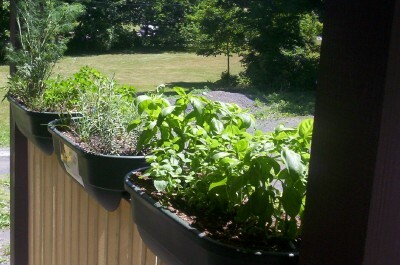 I have decided that the only herbs I will try to keep for the winter is the rosemary and the basil. The mint I will harvest and freeze, and the thyme, sage, and oregano I will dry for later use. It is always so nice to use fresh herbs when cooking that I am really going to miss it. I have already transplanted the rosemary and basil into pots ideal for the indoors and they seem to be liking their new home. It is best to get them transplanted now and let them get used to the new pot before I bring them inside and also have them get used to the new lighting and temp conditions.